Here at Class, we are a leasing company that understands what you want, and what’s more, we work to make sure that we’re meeting your expectations. We treat each of our clients as individuals and we know that every situation is different. When we choose to work with a landlord or property owner, we are careful to take everything into account — the market, the going rates, and other trends — to give you the best possible solution for your apartment vacancy! Trust Class as your temporary leasing agents; you won’t be disappointed. Contact us today! When you look at everything on your plate, it’s sometimes easy to be overwhelmed. You’ve got your family responsibilities, you’ve got your job, you’ve got bills to pay and apartments to get rented. With all of the hats that you wear and everything that you are expected to get done, you may be feeling spread quite thin. Wouldn’t you just love some help? Wouldn’t you love it if someone took your rental worries off your shoulders and off of your mind? When you hire a temporary leasing company like Class, you’re signing up for the much-needed help that you’ve been desiring. 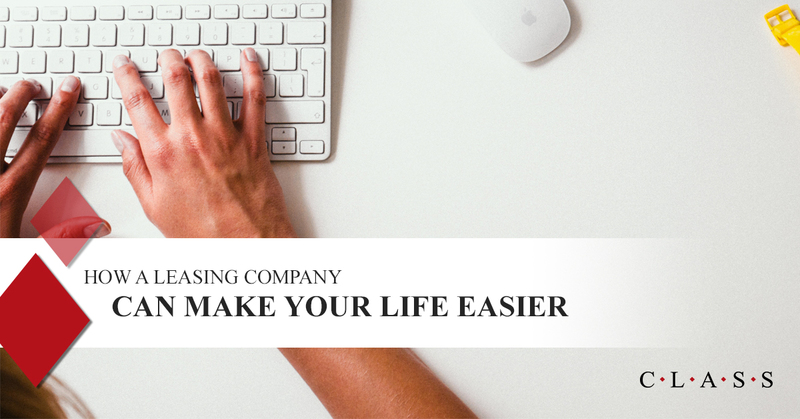 But what can a leasing company really provide you with? In today’s two-part blog, we’re going to take a look at all of the reasons to hire a leasing service to help get your apartments rented to quality residents. We’ll also look at how the process works for us at Class. Continue reading on to learn more about a successful plan for getting your apartments or rental properties rented. When you’ve been your own leasing agent, it’s hard to understand all of the ways that a professional leasing service can help you. Let’s take a look at some of the benefits of using a leasing company to get more successful and upstanding residents in your apartments. Your leasing company provides an apartment vacancy solution that you can get behind. That’s because, from the very beginning, we work overtime to understand the ins and outs of your situation. We do our research, discuss your goals, and work with you to come up with a marketing strategy that will be successful. When you realize how hard we work on the front end with your marketing plan, you’ll be so excited and eager to get started. Give Class a chance to prove everything that we can do for marketing your vacant apartments. If we were simply a “rescue leasing company” with no plan to help you long term, we might be okay with the idea of simply coming into your situation, helping where we can, and leaving you no better off than you were before. But Class is different; we work with your team to train them to be better leasing experts. The idea is that you won’t need us long term, your team will be able to be self-sufficient and you’ll be amazing at the occupancy percentages you’ll experience from our valuable training. Contact Class for more information on our training program. Thanks for reading part one! Stay tuned for part two of our blog series which will be coming soon. In the meantime, check out our website to read testimonials from companies who have worked with us, learn about our services, and to reach out to us!